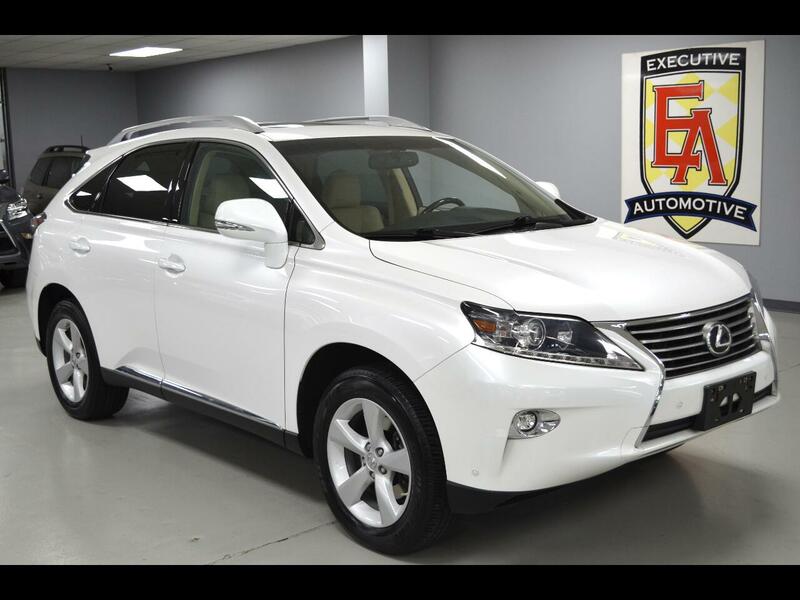 2015 Lexus RX350, Starfire Pearl with Parchment Leather. Packages Include: Comfort Package - Xenon HID Headlights, LED Fog Lights, Rain-Sensing Wipers, Heated/Cooled Front Seats. Premium Package with Blind Spot Monitor System - Leather Trim Interior, Power Tilt/Sliding Moonroof, Power Folding Auto Dimming Heated Side View Mirrors, Memory Settings for Drivers Seat/Steering/Mirrors. Options Include: Navigation System, Back-up Camera, Intuitive Parking Assist, Brake Assist System, Remote Engine Start, Dual-Zone A/C, Driver/Passenger Adjustable Lumbar, Bluetooth Connection, Auxiliary Audio Input, HD Radio, CD Player, MP3 Compatible Stereo, Steering Wheel Audio Controls, Auto Leveling Headlights, Cruise Control, Electrochromic Rear-view Mirror, Memory Seat, Key-less Entry, Push Button Start, Universal Garage Door Opener, Turn Signal Mirrors, Rear Spoiler, Power Window, Power Locks, Power Mirrors, Power folding Mirrors, Power Seats (both), Power Lift-gate, Power Tilt Steering, and more! Contact Kyle Porter at 816-616-2500 or email: kyle@executiveautomotive.com for additional information. Thanks for your interest in our RX350!